Las Vegas Bankruptcy Attorney also Specializing in Real Estate, Commercial Litigation and Banking Law. David J. Winterton & Associates is a small law firm that takes a personal and professional approach to every client and case. We want you to feel as comfortable as possible from start to finish in your legal matters. When you hire our firm you become part of our family. David J. Winterton & Associates is one of the most well-respected law firms in Southern Nevada. As a top bankruptcy Las Vegas attorney, David Winterton has been practicing law for over 30 years with experience in legal matters that rival even the largest firms in Las Vegas. Our small size gives our clients the personal and individual attention that they need so that together we make a very successful team. David J Winterton & Associates is one of the top bankruptcy lawyers in Las Vegas offering a free consultation. With over 30 years’ experience, and over a thousand bankruptcy filings, we have the expertise to handle your bankruptcy with the least amount of fees involved. We are respected by the judges, the legal community, and the clients that we represent. 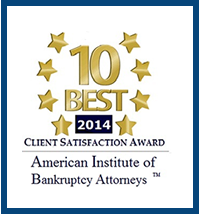 Our reputation goes above and beyond any other bankruptcy firm because of our integrity, knowledge, and skills. 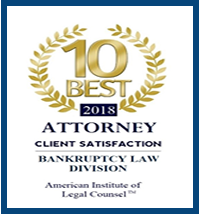 If you file for bankruptcy, it is so important to get legal assistance from a bankruptcy attorney who has the skills and expertise to handle your bankruptcy in the best way possible. Trust is the reason that most of our cases are referred to us by other attorneys and former clients. David Winterton is specialized real estate attorney in Las Vegas, Nevada. The firms real estate practice involves representation of residential, commercial and industrial developers and lenders and all aspects of real property acquisition, financing, exchange, leasing, sale syndication, development and construction. Our leasing practice includes representation of landlords and tenants in ground lease, regional shopping center and office complex situations. The firm protects the lenders interest by foreclosure, eviction and collection proceedings. We have been able to help many of our clients retain their homes free and clear of mortgages or liens. The firm's litigation practice has expanded to cover the broad range of business and commercial disputes impacting our clients' businesses, as well as insurance defense matters in state and federal courts at trial and appellate levels. Commercial litigation handled by the firm includes contract and real property disputes, shareholder and other corporate disputes, unfair competition, title and title insurance matters, trust and fiduciary issues, trademark infringement, fraudulent transfer/conveyance matters and landlord-tenant disputes. The firm's litigation practice also includes arbitration, and complements other areas of practice in negotiating disputes in an effort to avoid litigation. The field of commercially related litigation spans everything that your company might be suing others for or be sued by others against. We will make sure, that all the details of the case prove your cause right! The law firm of David J. Winterton & Associates has a very successful practice handling appellate law cases in Nevada. The firm has been recommended by other law firms to handle their appeals and has a high appellate success rate that beats most odds. The firm has successfully appeared in appeals before the 9th Circuit Court of Appeals, the Bankruptcy Appellate Panel, the Federal District Court, and the Nevada Supreme Court. 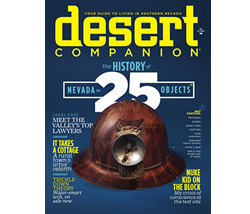 David Winterton is respected and prominent banking and financial institution attorney in Nevada. The firms history of representation includes all types and sizes, from Fortune 500 banking institutions to community banks, trust companies and other corporate fiduciaries, bank asset managers, data processors and other service providers. We offer clients a full array of banking legal services and we work tirelessly to serve your best interests at the most efficient and highest levels. The firms Banking and Financial Institutions practice features experienced attorneys who know the banking industry inside and out. The corporate practice covers all aspects of business and transactional matters business start-ups, corporate formations, corporate governances, reorganizations, mergers and acquisitions, sales of assets, leases, franchising, leverage buy-outs, spinoffs, company formations, partnership agreements, limited liability companies, bylaws, operating agreements, and asset protection.In addition, the firm's business entity practice covers all aspects of formation and governance of general partnerships, limited partnerships and limited liability companies. Schedule a Legal Consultation Today! Call or Email David J. Winterton & Associates today to set up a consultation with a skilled, knowledgeable and understanding lawyer who will discuss your options and provide you with the answers you are seeking. Why Hire David J. Winterton & Associates? Our firm has successfully obtained millions of dollars awarded to our clients, including a jury verdict of $10.8 million in a real estate partnership dispute case. Additionally, we have considerable experience representing bankruptcy clients in litigation, and also representing numerous homeowners and homeowners’ associations. We represented the unsecured creditors committee in the successful reorganization of the Riviera Hotel & Casino as well as the Aladdin Hotel & Casino. We represented many multi-million dollar corporations and we’ve filed over a thousand bankruptcies for individuals and corporations and continue to provide the best bankruptcy representation in the state. Most of our cases are referred to us by other attorneys and former clients because they know they can trust us to provide the most professional and comprehensive counsel needed. We spend quality of time with each of our clients to assess their individual needs during the consultation stage and throughout their case. We specialize in unparalleled service due to the fact that our attorneys work directly with our clients. You are never pawned off to a paralegal or assistant, but you communicate personally, and throughout your entire case, with our skilled attorneys. We also provide you with the highest service and skills to resolve your legal matters quickly and economically. Our firm is conveniently located on the southwest corner of Charleston and Buffalo in the Acuity Financial Center. We service clients from all over the valley, including Henderson, Boulder City, Logandale and Mesquite. We also have clients from all over the United States from Los Angeles to New York and from all over the world from Canada to China. Whether you’re a large corporation or an individual needing simple legal advice, our expertise expands to cover all clients and legal needs. 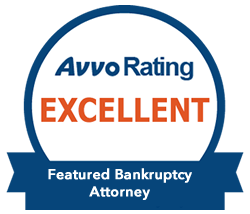 Wonderful bankruptcy attorney – David. Professional, courteous, educated, compassionate. Assisted me through my bankruptcy which I am greatly relieved to have done. Kind and professional staff. Great location and easy to find, away from heavy freeway and strip traffic. Mr. Winterton has a wonderful, reassuring manner. He always takes my calls personally. I have found him to be exceptionally knowledgeable in a wide range of legal issues. He is well known and respected in the Las Vegas legal community. David is creative in his approach to problems and focuses on getting you results. Attorney David Winterton is one of the finest lawyers in Las Vegas. It has been my experience that he cares far more about what he can do for you than how much he can bill you for. He treats you like a human being, not a case number. I have had the opportunity to meet several of Mr. Winterton’s clients. They agree. David is an attorney who genuinely cares about the people who seek his help. You may find yourself needing a lawyer right now, but you will also be making a friend for life. David J. Winterton & Associates is a small law firm that takes a personal and professional approach to every client and case. We want you to feel as comfortable as possible from start to finish in your legal matters. When you hire our firm you become part of our family. Call or email David J. Winterton & Associates today to set up a consultation with a skilled, knowledgeable and understanding lawyer who will discuss your options and provide you with the answers you are seeking. David J. Winterton & Associates is one of the most well-respected law firms in Southern Nevada. Our attorneys have been practicing law for over 30 years with experience in legal matters that rival even the largest firms in Las Vegas. Our small size gives our clients the personal and individual attention that they need so that together we make a very successful team. Legal Disclaimer: No representation is made that the quality of the legal services to be performed is greater than the quality of legal services performed by other lawyers.